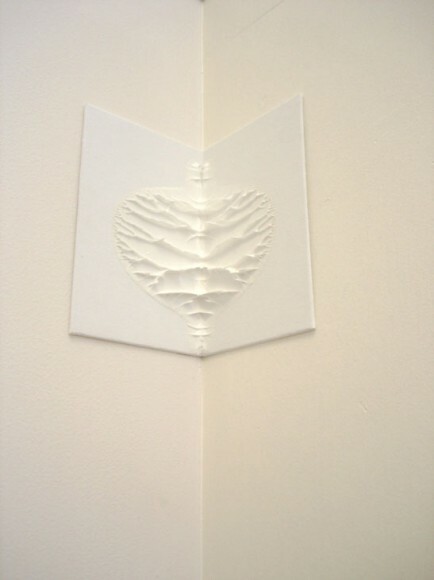 Silicon on canvas board corner pieces were positioned in the corners of the gallery. 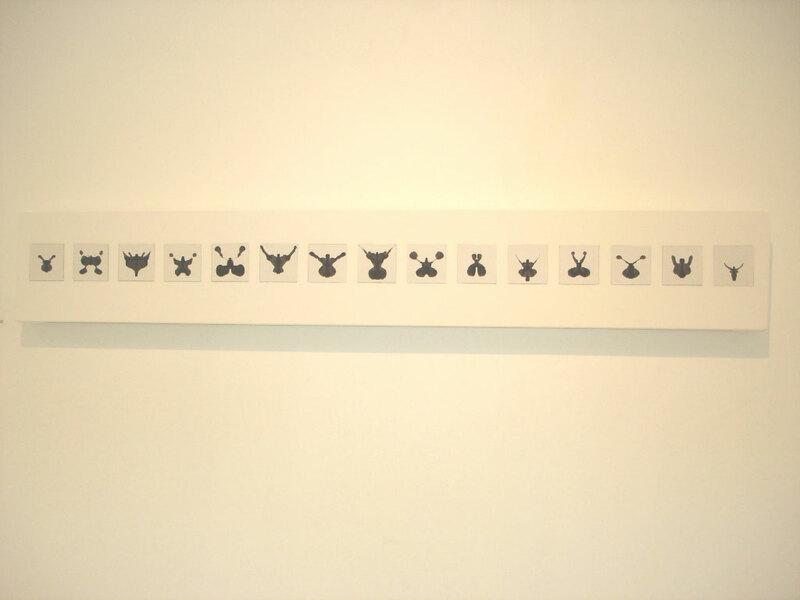 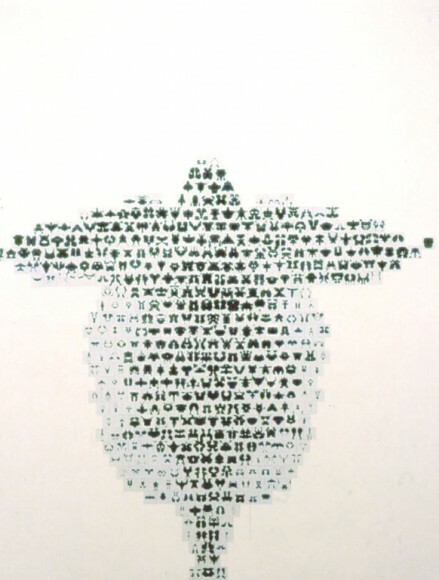 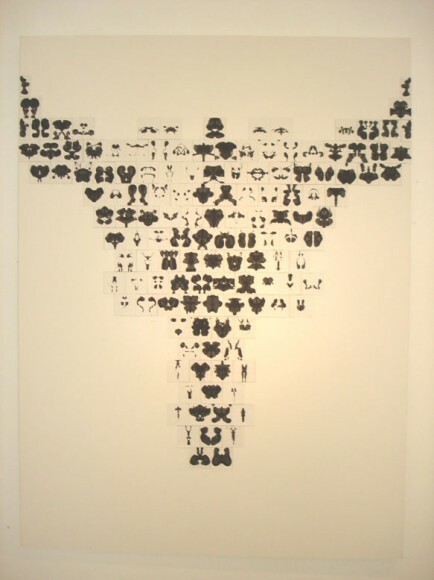 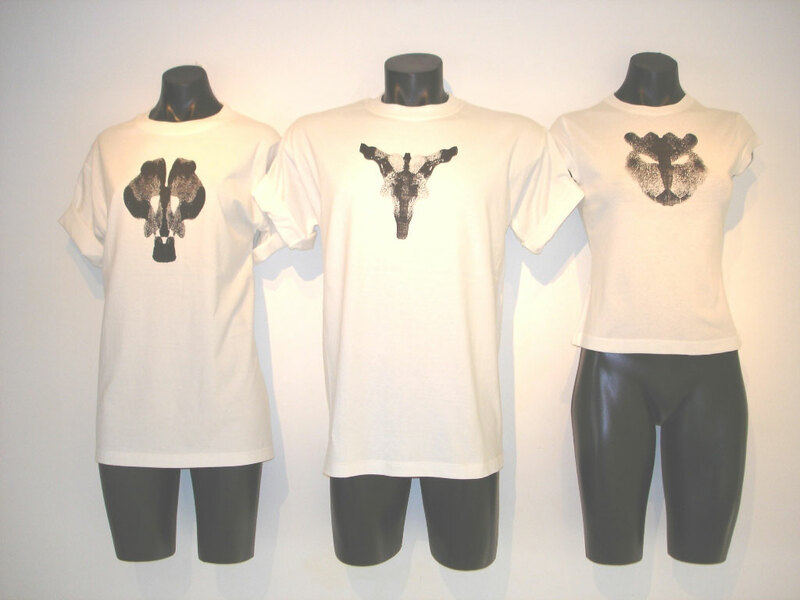 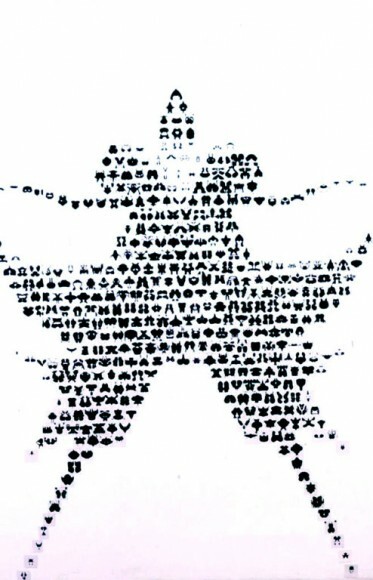 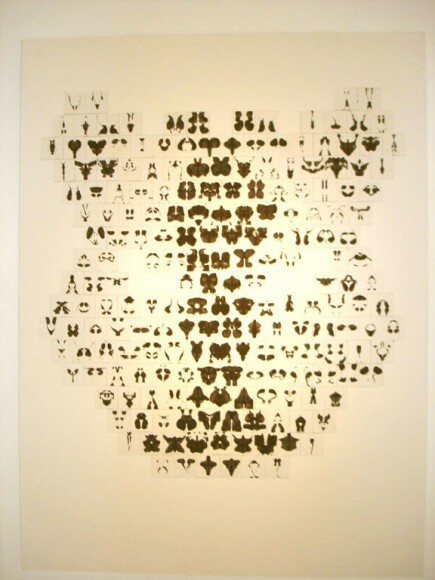 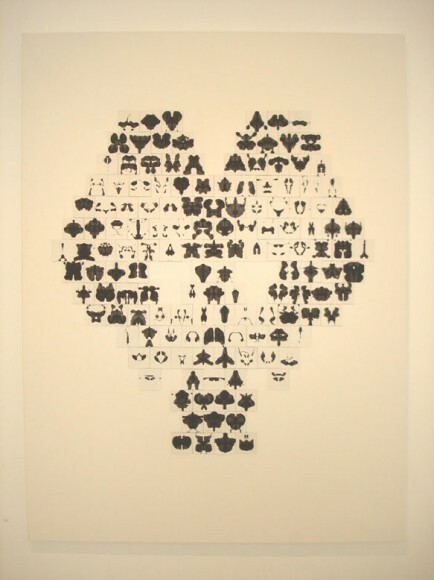 Following on from Twins in 1998 and Psychometric Gathering in 2000, inkblots were re-configured to create linear groupings and large mask-like images of inkblots on the walls as well as printed tee shirts. 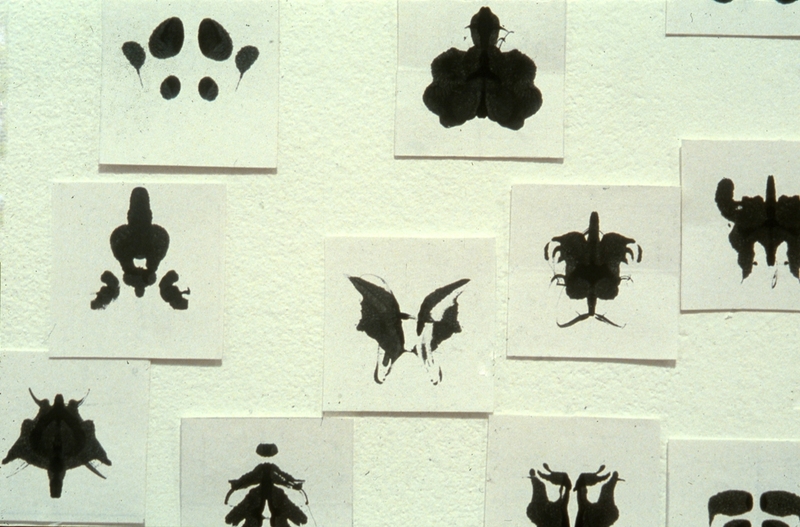 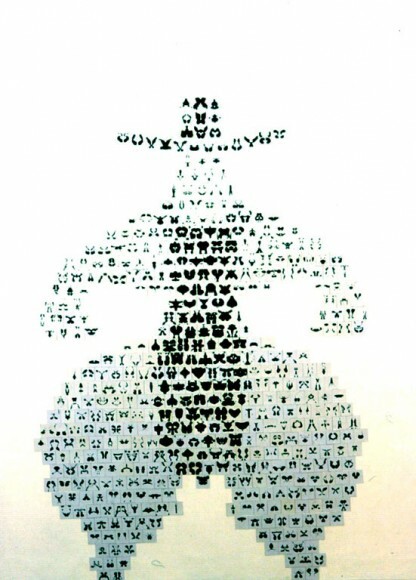 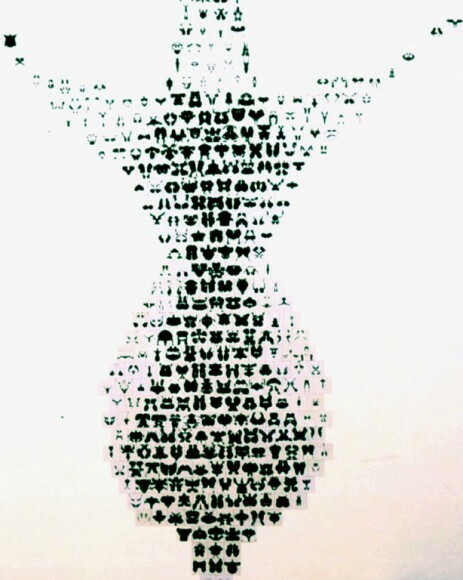 Following on from Twins in 1998, approximately 6000 more inkblots were made and those with a human form were selected. 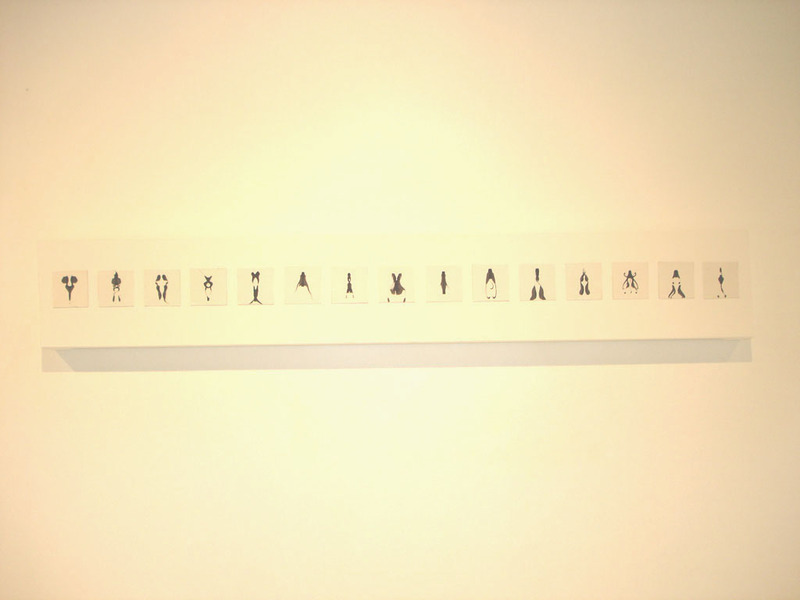 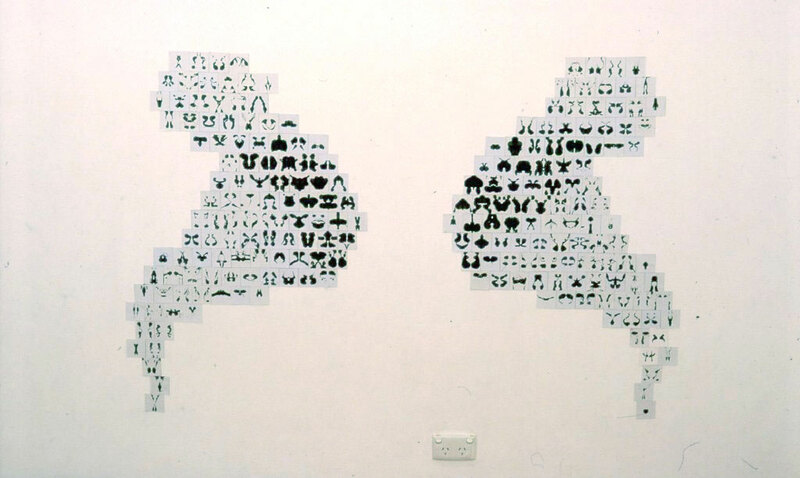 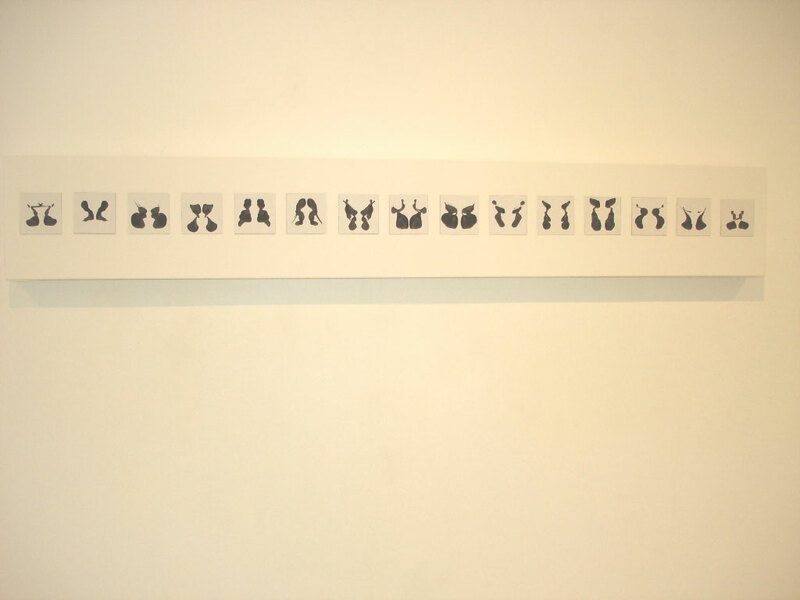 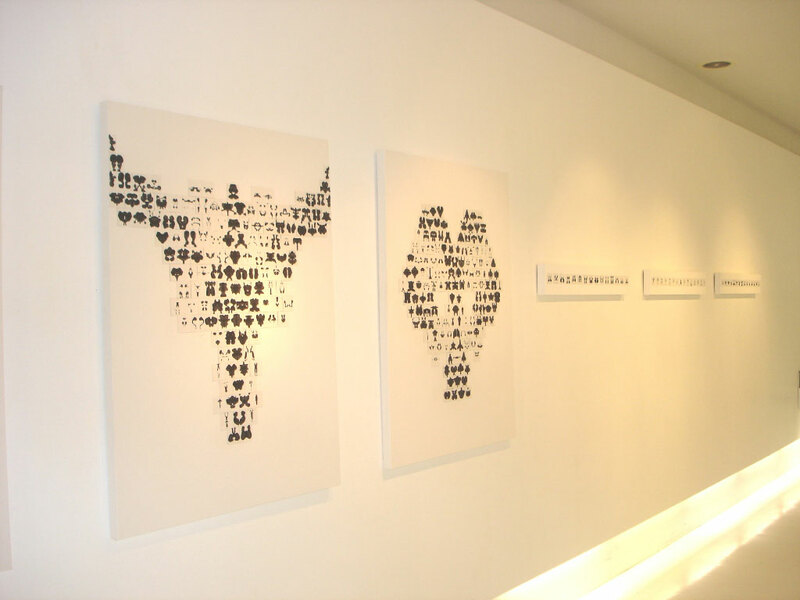 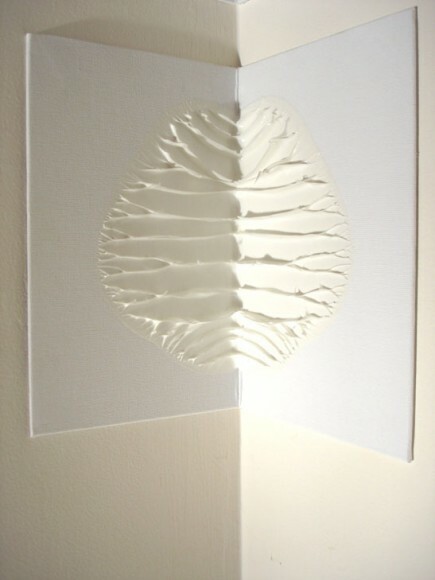 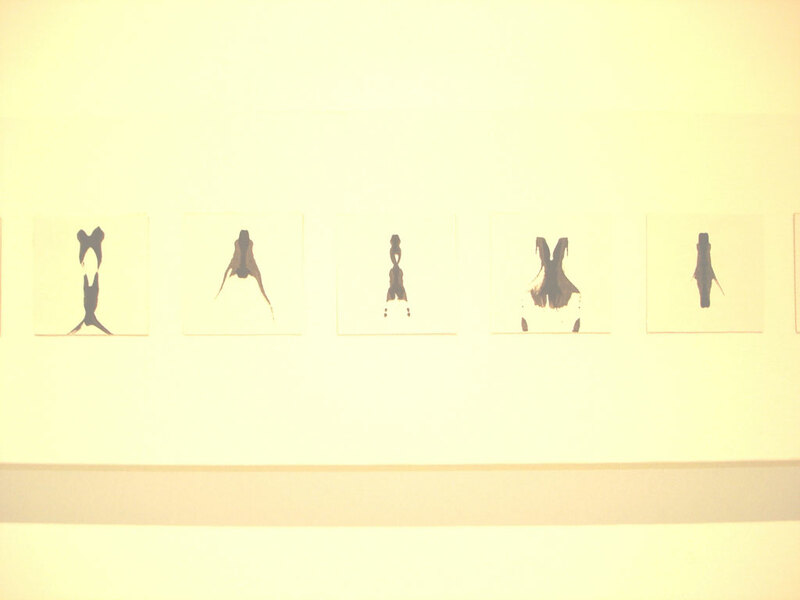 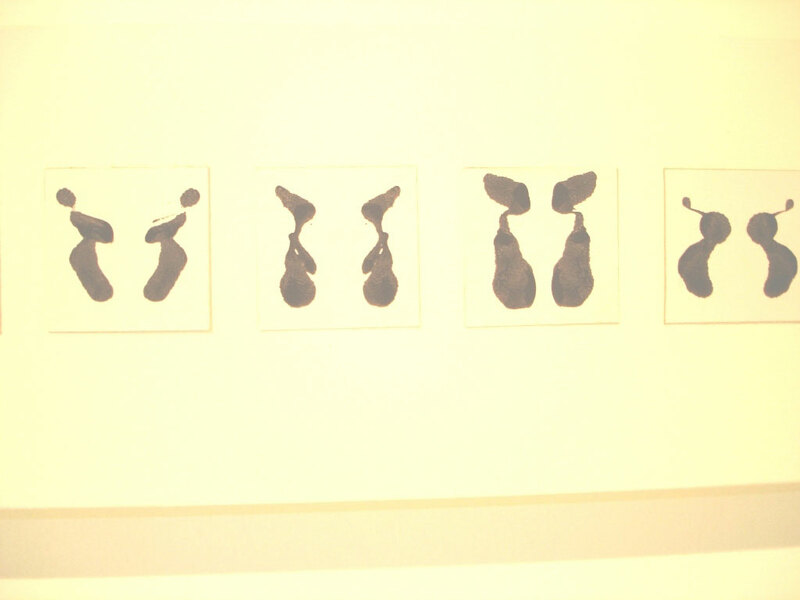 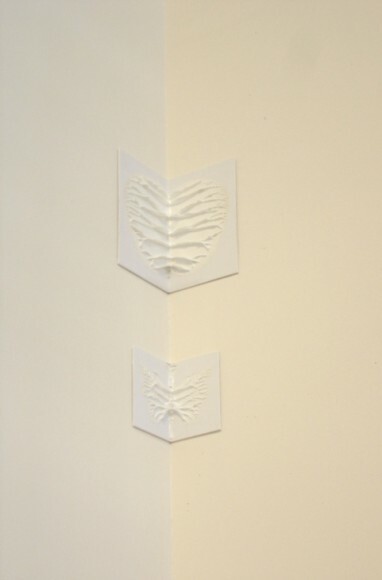 These figurative inkblots were scaled up onto the gallery walls using other inkblots. 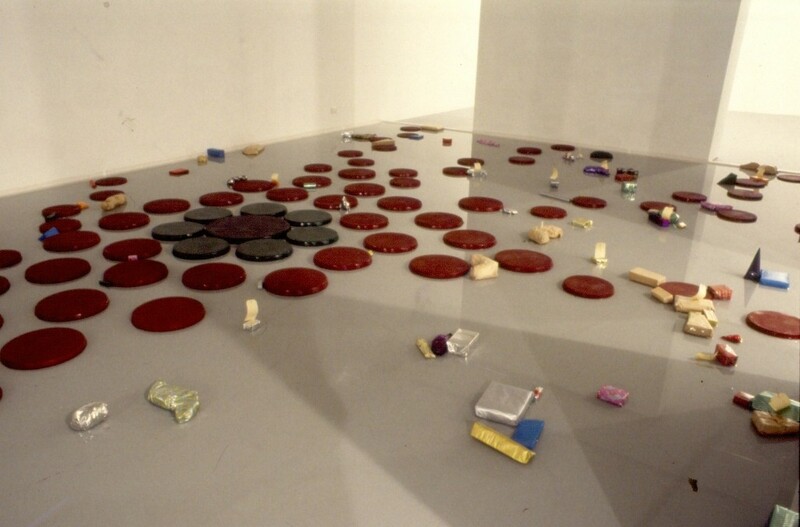 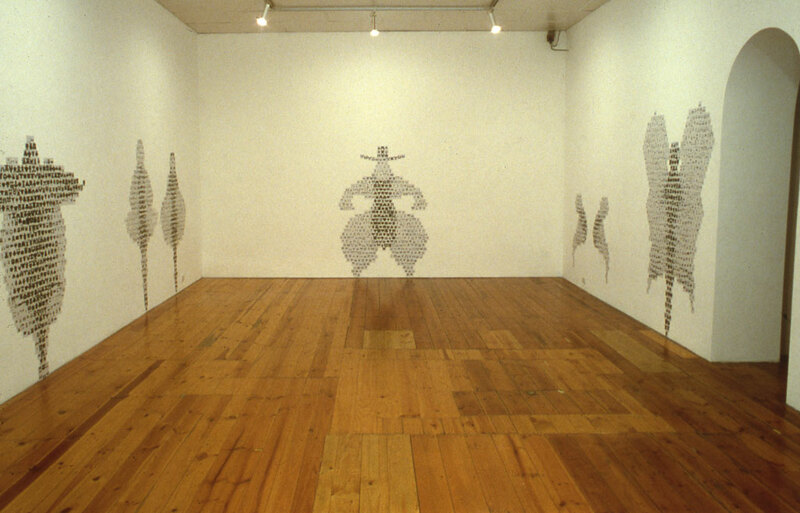 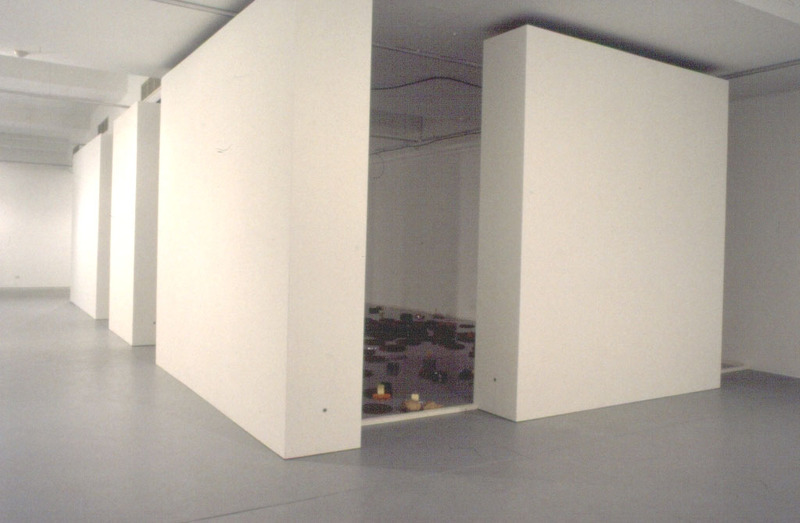 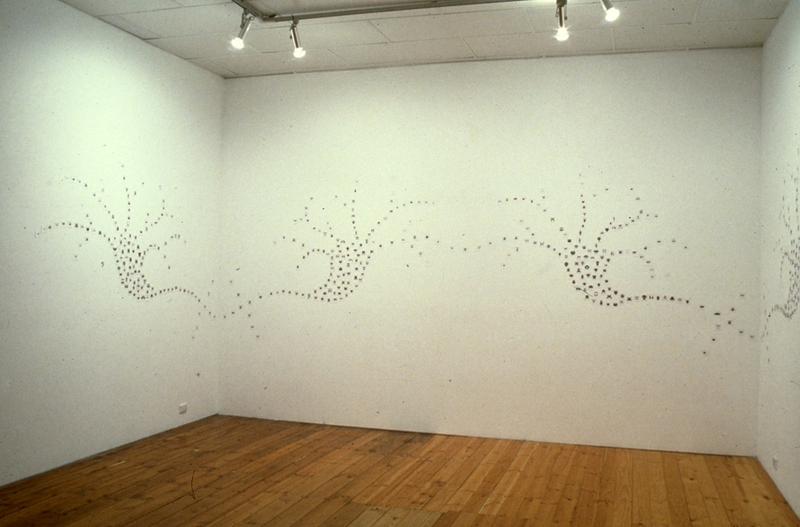 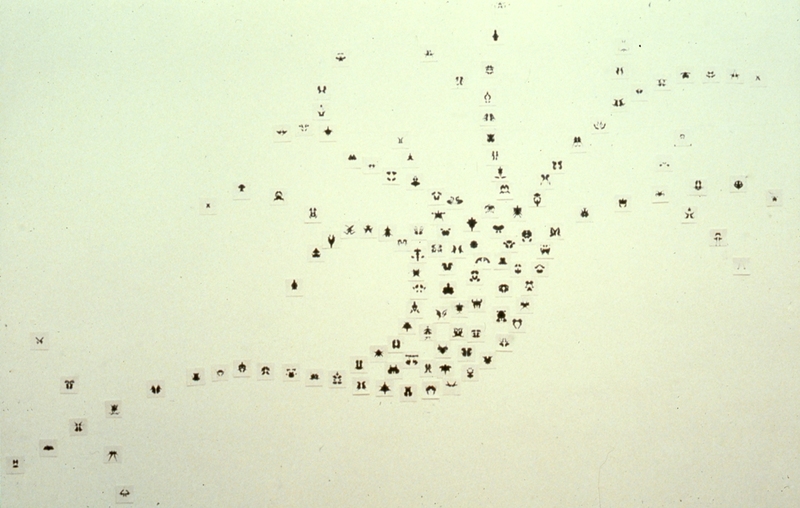 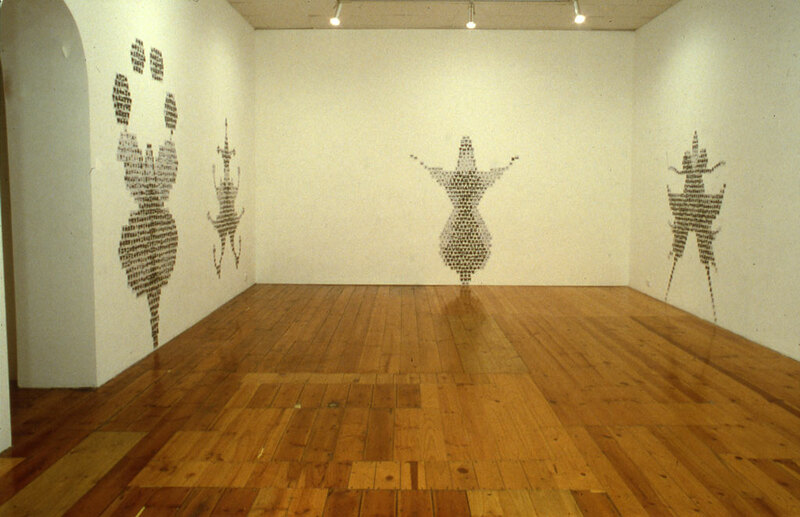 Contemporary Art Centre of South Australia, 1998 This installation used numerous hand made 50mm x 50mm inkblots to describe the shape of a nerve cell. 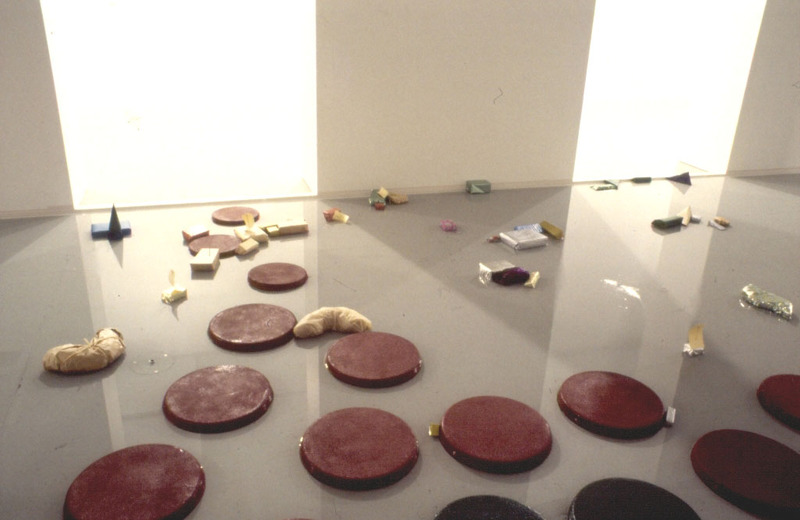 The floor of the gallery was flooded with water dripping from the ceiling creating an indoor pond which participants traversed using stepping stones arranged in the shape of a nerve cell. 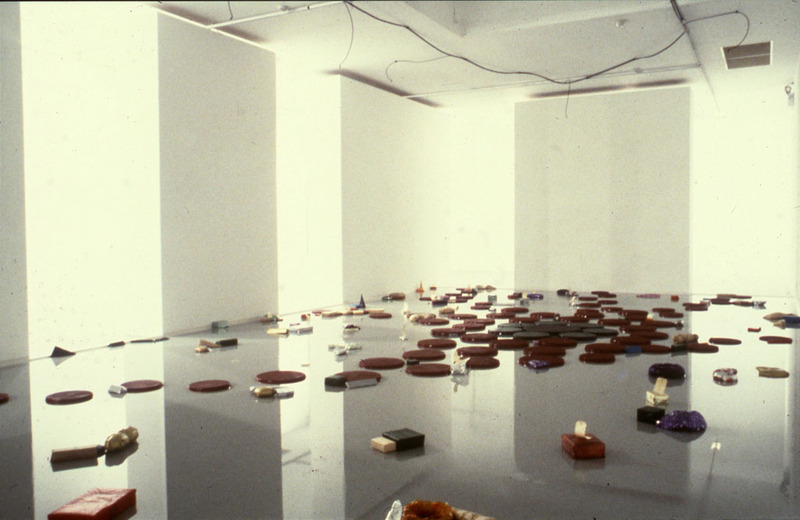 Entering and leaving the space, participants crossed the synapse as transmitted impulses, passing gift wrapped parcels of ideas yet to be realised.